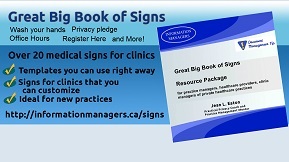 Great Big Book of Signs – Medical signs for clinics to print and use! Every office has signs – signs to remind people to take off their shoes, ring the bell, present their identity card and even to sign in! I have been in hundreds of healthcare offices and have seen some really great medical signs. We have selected over 20 signs you may need in your clinic. Print and use these medical signs in your practice! Thanks for downloading the Great Big Book of Signs! What do you think makes a good sign? What kind of signs do you use? Send us a picture and tell us what makes the sign good (or bad). We’ll share it on social media and add updates to the Great Big Book of Signs. 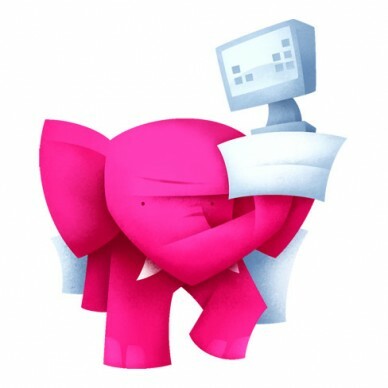 Thank you so much for the webinar [on Privacy Breach]. It was very informative and thought provoking.